Kent Bazemore Jr is an American professional player who struts his talent in the National Basketball Association (NBA) player with the Atlanta Hawks. He has been a recipient of a number of accolades for his performance on the court – dating from his high school years. One notable award of his is the Lefty Driesell Award, which he took home for being the best defensive player in college basketball. He was in junior year at Old Dominion University when he was granted this award. Here’s everything you need to know about Bazemore’s life and career. Bazemore was born Kenneth Lamont Bazemore Jr. on July 1, 1989, to Kenneth and Glynis Bazemore. His birthplace is Kelford, North Carolina. He attended Bertie High School, North Carolina and showed a lot of prospects right from then. In his junior year, he was awarded Roanoke-Chowan Player of the Year. He was also named Roanoke-Chowan Player of the Year in his senior year as well as North Carolina Coastal Conference Player of the Year. Some of his averages during his senior year at Bertie High School are 18.8 points, 4.2 assists and 10.3 rebounds per game. He was selected to play in the North Carolina – South Carolina All-Star game in his junior year, he averaged 22.9 points and 9.8 rebounds at the time. In Bazemore’s freshman year at Old Dominion University (ODU), he was mostly played in rotation and averaged 4.5 points and rebounds per game. During that same season of 2008-2009, he helped the ODU team win the 2009 Collegeinsider.com Tournament. Bazemore joined the starting line up in his sophomore year and his performance during the season got him named to the Colonial Athletic Association (CAA) All-Defensive team. Bazemore continued to receive accolades into his junior year at ODU. During the 2010-2011 season, he bagged CAA Defensive player of the year and was selected to the second team All-Conference. He also earned the Lefty Driesell Award for being the nation’s top defender. Bazemore, before the commencement of the 2011-2012 season, was awarded CAA preseason player of the year. Collegeinsider.com also named him preseason Mid-Major All-American. That season, he averaged 15.4 points, 3.1 assists, and 6.1 rebounds. Bazemore graduated from ODU with degrees in Human Services and Criminal Justice. His ODU Monarchs jersey was retired in 2016 and he was inducted into the University’s athletic Ring of Honor. Though Kent Bazemore was not part of the NBA draft of 2012, he, however, started his professional career by joining the Oklahoma Thunders in the Orlando Summer League. He later joined the Golden State Warriors in the Las Vegas Summer League, signing with the team in July 2012. While a rookie there, he was severally assigned to the Santa Cruz Warriors of the NBA Development League. In February 2013 the Golden State Warriors traded Bazemore and Mashron for Steve Blake of the Los Angeles Lakers. He scored a 23 point career high the following month in a game against the New Orleans Pelicans. He suffered a torn injury on his right foot in early April and got ruled out for the rest of the season. Bazemore signed with the Atlanta Hawks in November 2015 and with the team, he scored a career-high 28 points in a December 2015 game against the Miami Heat. He signed again with the Atlanta Hawks in July 2016. Another career high came when he scored 29 points in a game against the Golden State Warriors in March 2018. The shooting guard stands at a height of 6 ft 5 inches (195.58 cm) and weighs 201 lbs (91 kg). How Much Is His Salary? Kent Bazemore earned $15,730,338 for the 2016-2017 season and $16,910,113 for 2017-2018. He has been marked to earn $18,089,887 and $19,269,662 for 2018-2019 and 2019-2020 seasons respectively. 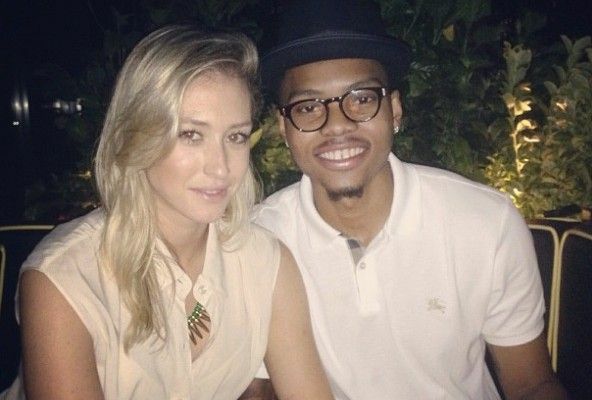 Who Is The Wife Of Kent Bazemore? Kent Bazemore married longtime fiancee Samantha Serpe in July 2017 at Biltmore Estate, North Carolina. They had been together since his rookie years. Samantha Serpe was born on January 5, 1990, to Ralph and Cindy Serpe in North Caldwell, New Jersey. She has two siblings. Samantha attended West Essex High School and was very passionate about sports and fitness from an early age. She played field hockey while at Villanova University. She left the corporate world in New York and San Francisco where she had worked for years in order to move to Atlanta to be with her husband. Serpe quickly rekindled her love for a fit and healthy lifestyle as she co-created food recipe advice website and newsletter Sage and Celery with business partner Sharon.